- Actual size can be slightly different from described according to the way of measuring. - Actual color and details such as pattern can be slightly different from what you see on the screen. - Handmade products may have slight differences for color, position, pattern and etc due to their handmade nature. - Silver or plated products other than gold and surgical steel might spoil if exposed to water or oil for long. So it is recommended that they be cleaned with dry cloth and kept in the zipper bag enclosed after use. Unauthorized plagiarism and theft of all designs and contents of WINGBLING may be subject to legal penalties in violation of Copyright Act and Unfair Competition Prevention Law when it is perceived as infringing. Prior to confirming your order, please carefully review the total amount and content(s) in your cart. Because our items are made on-demand, once an order is submitted, you cannot cancel or change your order after 24 hours from the time of submission. We can ship to virtually any address in the world. However, please note that there can be restrictions for certain situations or areas. The shipping cost varies depending on your location. Due to the nature of international shipping, a return or an exchange by change of mind is not accepted. 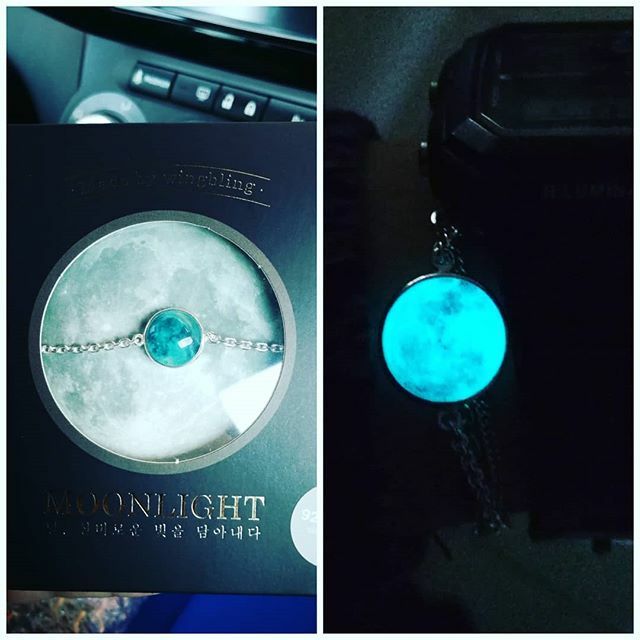 The bracelet is very nice and beautiful when it glows in the dark. It was a birthday gift for my sister and she loves it so much. Nothing to say. I Love It! Love the bracelet. Such a lovely unique gift, it looks amazing! It was a gift and she loved it. For all the peoples from pakistan wondering how long will it take to deliver? it took only 15 days to deliver. Awesome quality! best gift ever. COPYRIGHT © 2018 Wingbling. All Rights Reserved.